Gareth Huw Edwards has done it again, only this time bigger. Sequels are always tricky usually a pale imitation of the original but what Edwards has done here is raised the stakes and upped the scope of the first one. 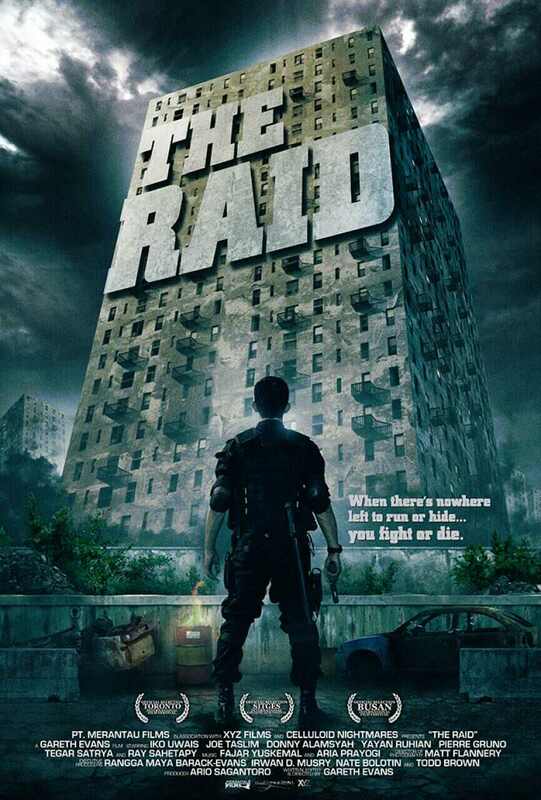 The film begins almost immediately after the end of The Raid:Redemption and finds our hero being thrust into the more complex world of gangsters and corruption at the highest level. Here, he has to infiltrate one of the major crime syndicates in order to take them down. Beranthal retains all the best of Redemption and expands on it making it a crime thriller as well as keeping the ultra violence of the fights, of which there are many incredible set pieces. The music, like the first one, brings to mind the music of John Carpenter’s films, moody synths and it fits into the composition of the film beautifully. We get an insight into the world of gangsters in Indonesia and the corruption that is behind it much more extensively than the first one. Poor Rama (Iko Uwais), it seems like the skills he has have forced him into situations of which there are no escape, short of fighting his way through them to the very end. What is painful for him is an adventure for us. At 2 and a half hours this is a roller-coaster ride that delivers on all counts bar a slight confusion of who some of the characters are, but that may be down to me. It was with joy that Yayan Ruhian returns as a different character. He was brilliant as Mad Dog in Redemption and he also choreographed the fight sequences with Iko Uwais as he did for the first one. An incredible martial artist whose skills in Pencak Silat and other forms of martial arts are plentiful. Special mentions go to Julie Estelle as Alicia ‘Hammer Girl’ and Vey Tri Yulisman as Baseball Bat Man who deliver some fantastic action sequences. Edwards retains the extreme violence and comic book style of the first one and firmly places himself in the top end of action film directors. I wonder if, and when, he will make an English language film and how it will be. Time will tell. This is definitely a film not for the faint of heart but if you are interested in martial arts and the action genre you should definitely check it out. A masterclass in action entirely in Indonesian brought to you by a Welshman, Gareth Huw Evans, who would have thunk it? 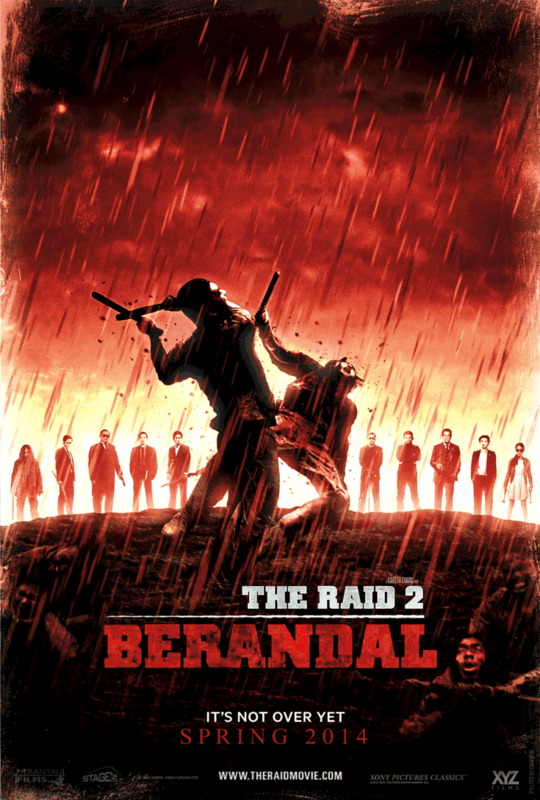 With Raid 2 out now, it was time to revisit this incredible film from a few years ago, and boy did it deliver the second time round. Iko Uwais is Rama, an Indonesian cop whose team is on a mission to take down the head of a massive criminal empire in a tenement block. That’s pretty much the premise. What’s brilliant about it, apart from the incredible fight choreography is the fact that Evans manages to make you care and involves you in the characters, especially Rama. The brief scenes with his wife allow you to feel that he has something worth living for and so the stakes become higher. There is a nice early nod to The Warriors when the head baddie, is talking to his tenants on a microphone bringing to mind the female radio DJ playing Nowhere to Run. The colours/hues of the film really bring to the fore the darkness and soullessness that exists in the building. It could be set anytime; now or in some sci-fi dystopia. The music is frenetic and complimentary to each scene. Uwais is a powerhouse, it has been a while since someone like him has been on the big screen, he can act, is handsome and he definitely can fight, of that there is no doubt. A movie star with talent. The story unfolds like a computer game, getting to the next level, fighting bosses etc etc, but it never feels forced or unenjoyable. The composition is spot on, the frenetic, visceral fights tempered by the tension of waiting for the right moment. This is the film’s greatest strength, the notes fit together to make a perfect symphony of violence and at the same time engage the audience and entertain them with intelligence. Evans knows what he’s doing. This is the second film that Evans/Uwais have collaborated on, the first being Merantau. Special mention goes to the co-fight choreographer and stand out performance in the film, Yayan Ruhian playing the unstoppable Mad Dog. That guy likes to fight and makes for the most worthy of adversaries. The comparisons to Dredd, which was released the same year, are not unfair, they share a very similar premise, basically the plot of a number of computer games, work your way up to the final boss while fighting your way through increasingly harder to beat foes. Simple yet, in both films, very effective. If you haven’t seen it yet and you are not that squeamish, check it.